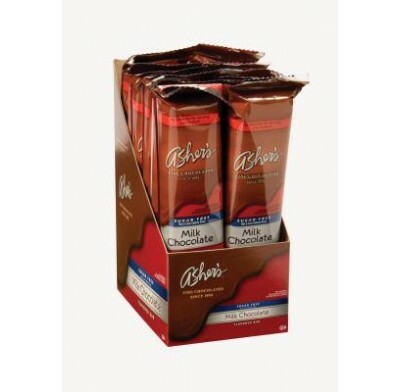 Asher Sugarfree Milk Chocolate Flavored Bar 12ct. 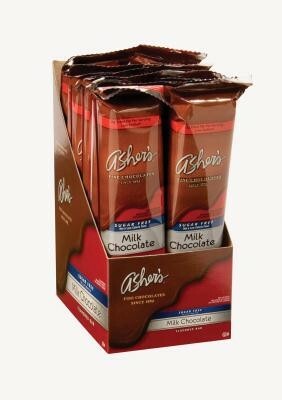 Asher's Sugarfree Milk Chocolate Bars are just as creamy and delicious as regular chocolate bars. These sugarfree candy bars are the perfect satisfying snack when you're home or on the go. This is a sugarfree product. There are 12, 1.65-ounce bars per display box.